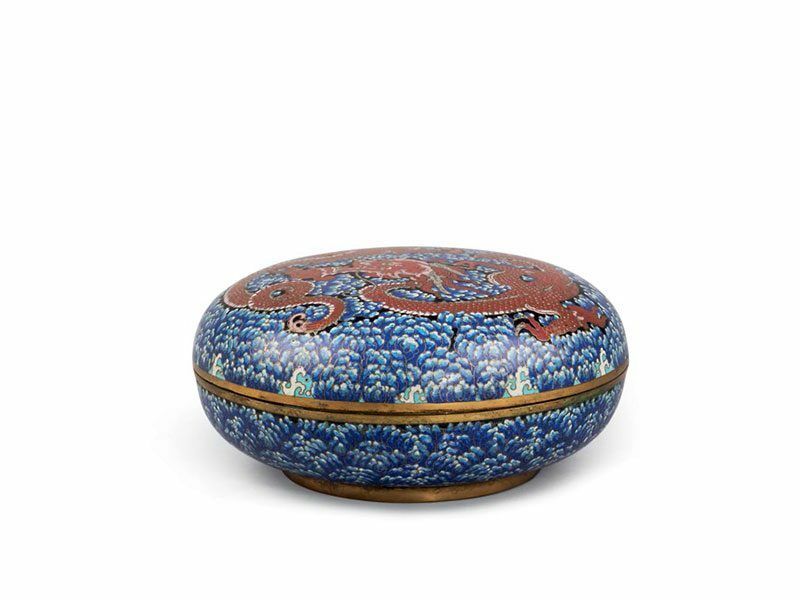 A large circular cloisonné enamel box with a domed cover and short straight foot. 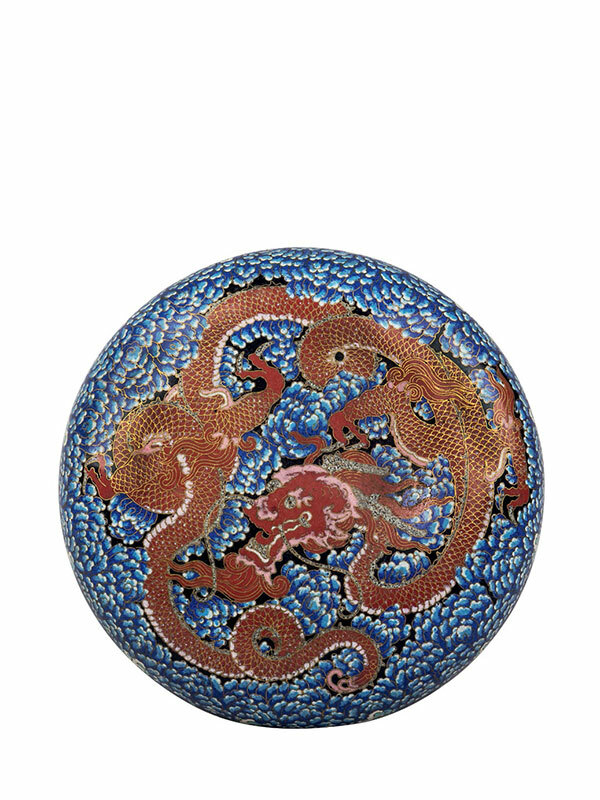 The cover is decorated in vivid cloisonné enamels with a vivacious two-clawed red dragon with a sinuous and scaly body, set against dense clusters of variegated blue clouds resembling flowering blooms. The edge of the cover is adorned with crashing waves encircling the rim. 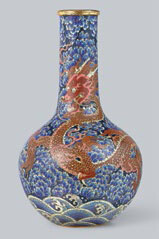 The sides of the box are decorated with similar blue clouds and crashing waves. The interior and the rims are covered in a thick layer of gilding.